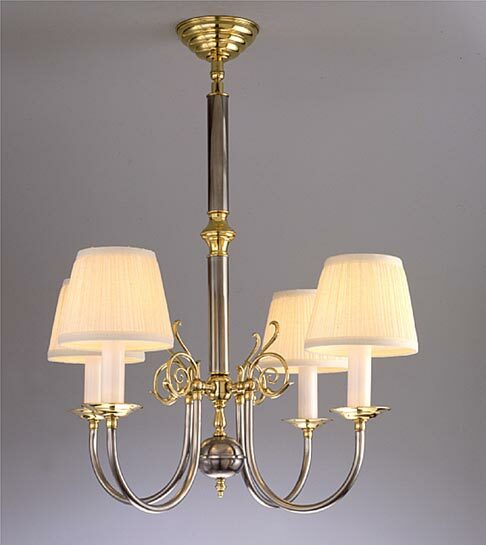 Larger diameter center tube really adds substance this gorgeous Country French Colonial era chandelier. In pewter with polished brass accents and perfect 'beehive' back plate canopy. Also features custom white mushroom pleated fabric shades. Shades are clip on style.